The lawyers of Gary A. Zucker & Associates, P.C. have served the greater Brooklyn area with great diligence and tenacity. All victims of auto accidents and their loved ones deserve strong legal counsel, which is precisely what we offer at our law firm. More and more auto accidents have occurred that are the result of distracted drivers using cellphones. Let's take a moment to consider these matters right now. Texting while driving is one of the worst things that a driver can do. The level of distraction is very high if you text and drive, and you put not only yourself and your passengers at risk, but everyone else on the road as well. How much does texting while driving distract your attention? When you text while driving, your eyes are off the road for an estimated 5 or 6 seconds at a time. When driving at highway speeds, you can cover the length of a football field in that amount of time. This means that multiple collisions or potential accidents may occur, or that you reaction time to anything ahead of you is severely affected. It's been estimated, given the above level of distraction, that texting while driving makes an auto accident up to 23 times more likely. More common than it should be. Roughly one-third of all drivers between the ages of 16 and 17 have admitted to texting while driving. In addition, many teens have said that they've seen their parents text while drive as well. While the temptation is there for younger motorists, it's clear that texting while driving has become a general problem on the road now that cellphones have become a crucial part of everyday life. There are a number of cellphone laws on the road that have been passed in order to address these matters. 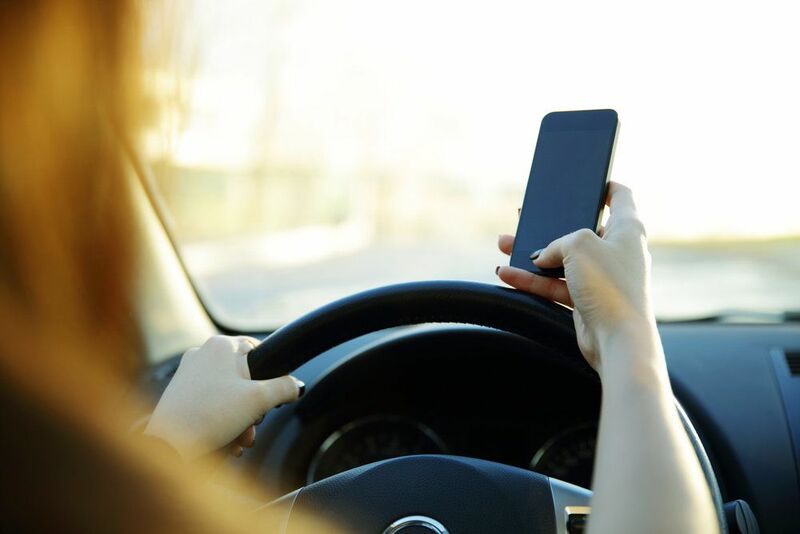 A driver is not allowed to make or receive calls, read or send text massages, or otherwise use a handheld mobile device while they are behind the wheel in the state of New York. Calls can only be made and received when a hands-free set is used. The only exception to this law is if a driver uses his or her phone to make a 911 call during a traffic emergency of some kind. In order to be as safe as possible while you are on the road, it's important that you avoid using any sort of mobile device while driving. Use a hands-free set if you have to speak on the phone while driving. Otherwise, be sure to avoid all use of a cellphone until you are safely pulled off the road and are parked. Parents should stress to their children that cellphone use behind the wheel is very dangerous and that they should not use their phone at all while driving. Parents should not be afraid disciplining their child as this kind of tough-love can actually save a life or multiple lives. For more information about your legal rights following a serious auto accident, it's important that you contact our personal injury law firm today. The attorneys of Gary A. Zucker & Associates, P.C. will fight for you and your loved ones every step of the way.